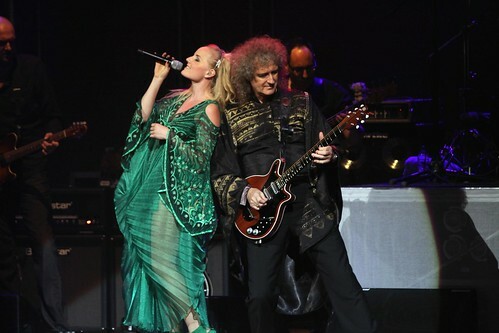 Brian May & Kerry Ellis at Manchester Bridgewater Hall tonight. Somewhat unexpectedly, this was shot from the back of the room. The usual side shooting position would have been tremendous for this, as both were near the front of the stage and well lit.